A sign marks a Fidelity Investments office in Boston, Massachusetts, U.S. September 21, 2016. BOSTON - Less than a year into her tenure as chairman of Fidelity Investments, Abigail Johnson faces a crisis amid allegations that the mutual fund giant has a men’s club mentality. Johnson is addressing inappropriate workplace conduct such as sexual harassment by hiring a consulting firm to review employee behavior stretching back years, the Wall Street Journal reported on Sunday. 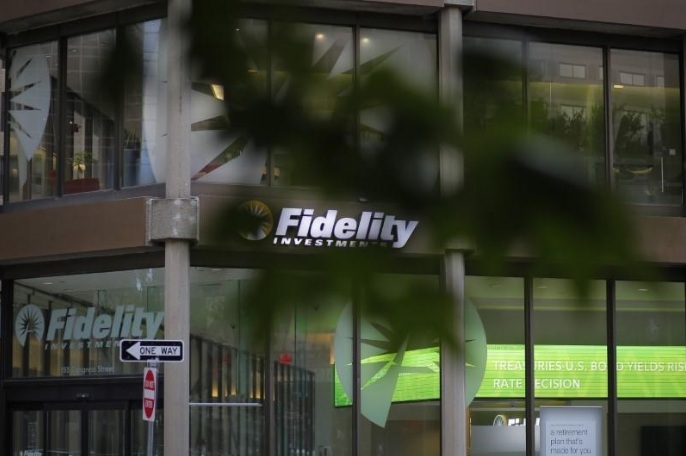 Fidelity would not confirm the review by consultants. In the past month, Johnson collared the attention of Fidelity’s stock funds team when she signed off on the dismissal of star portfolio manager Gavin Baker, who had been accused of sexual harassment, according to a person familiar with the situation. The Wall Street Journal was the first to report the circumstances surrounding Baker’s departure on Oct. 13. Through a spokeswoman at public relations firm Goldin Solutions, Baker has denied allegations of sexual harassment. Brian Hogan, president of Fidelity’s stock funds division, held an emergency meeting on Oct. 16 to ensure everyone is aware of the company’s zero-tolerance policy for inappropriate conduct, according to a source familiar with the meeting. He also reiterated that employees have various ways, such as calling the chairman’s hotline, to report any concerns anonymously. He called the meeting partly to address concerns raised in connection with the ouster of Baker, who ran the $16 billion OTC (over the counter) Portfolio. He had one of the hottest hands in the mutual fund industry, generating a 3-year annualized return of 19.03 percent, or better than 99 percent of his large-cap growth fund peers, according to Morningstar. The Wall Street Journal was the first to report Hogan’s meeting in a Sunday story that also said Fidelity had dismissed Robert Chow, who had been with the money manager for nearly 30 years. A person familiar with the situation confirmed the report that Chow had been forced out after being accused of making inappropriate sexual comments. Chow, who was known as a value investor earlier in his career, had most recently worked as a senior investment manager for private portfolios. He did not return messages seeking comment. Fidelity’s handling of the claims coincides with a deluge of sexual harassments complaints against powerful executives in the entertainment industry that has opened a fierce debate about workplace abuse of women in the wider world. Johnson recently said she is on a mission to hire more women at Fidelity. Last month, she said Fidelity had a shortage of women to give financial advice to female clients at its investment branches. Less than a year into her tenure as chairman of Fidelity Investments, Abigail Johnson faces a crisis amid allegations that the mutual fund giant has a men’s club mentality. Johnson is addressing inappropriate workplace conduct such as sexual harassment by hiring a consulting firm to review employee behavior stretching back years, the Wall Street Journal reported on Sunday.